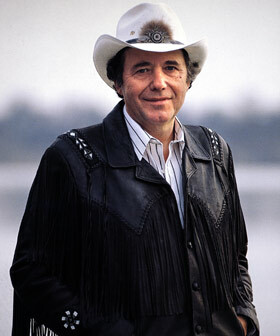 Bobby Bare's story is nearly as fascinating as his music. Bare's mother died when he was five. His father couldn't earn enough money to feed his children, forcing the family to split up. Bare was working on a farm by the time he was 15 years old, later working in factories and selling ice cream to support himself. Building his first guitar, he began playing music in his late teens, performing with a local Ohio band in Springfield. In the late '50s, he moved out to Los Angeles. Bare's first appearance on record was in 1958, as he recorded his own talking blues "The All American Boy," which was credited to Bill Parsons. A number of labels refused the record before the Ohio-based Fraternity Records bought it for $50; the fee also included the publishing rights. "The All American Boy" was released in 1959 and it surprisingly became the second-biggest single in the U.S. that December, crossing over to the pop charts and peaking at number three. The single was also a big hit in the U.K., reaching number 22. Before Bare could capitalize on his success, he was drafted into the armed forces. While he was on duty, Fraternity hired another singer to become Bill Parsons and sent him out on tour. After Bare left the army, he became roommates with Willie Nelson. During this time, he decided to become a pop singer. Soon, he was touring with pop/rock stars like Roy Orbison and Bobby Darin, recording records for a number of California labels. Meanwhile, his songs were being recorded by a number of artists; three of his tunes were featured in the Chubby Checker movie Teenage Millionaire. Even though he was having some modest success, Bare decided he wasn't fulfilled playing pop music. Instead, he turned back to country, developing a distinctive blend of country, folk, and pop. In 1962, Chet Atkins signed him to RCA Records. By the end of the year, he had a hit with "Shame on You," which was notable for being one of the first records out of Nashville to make concessions to the pop charts by featuring horns. The production worked, as the single broke into the pop charts. The following year, he recorded Mel Tillis and Danny Dill's "Detroit City," which became his second straight single to make both the country and pop charts. Bare followed up the single with a traditional folk song, "500 Miles from Home." It was another big hit for the singer, peaking in the Top Ten on both the country and pop charts. Bare continued to rack up hits in 1964 and 1965, as well as appearing in the Western movie A Distant Trumpet. As the '60s progressed, Bare continued to blur the lines between country and folk, as he was influenced by songwriters like Bob Dylan, recording material by Dylan and several of his contemporaries. Not only did he explore American folk, but Bare traveled to England, where he was popular. In 1968, he recorded an album with a Liverpool country band called the Hillsiders (The English Country Side), which signaled his artistic drive. Bare switched record labels in 1970, signing with Mercury Records. He stayed at the label for two years, producing a string of Top Ten hits, including "How I Got to Memphis," "Please Don't Tell Me How the Story Ends," and "Come Sundown." 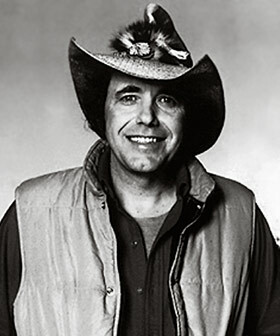 Upon leaving Mercury, he recorded an album for United Artists called This Is Bare Country, which remained unreleased until 1976; instead, the label released a collection, The Very Best of Bobby Bare. After leaving UA, he re-signed with RCA in 1973. Later in 1973, Bare released a double album of Shel Silverstein songs, Bobby Bare Sings Lullabys, Legends and Lies. Not only did the album represent the beginning of a collaboration with Silverstein, it was arguably the first country concept album, adding fire to the outlaw movement of the '70s in the process. The record was a hit with country audiences as well as rock fans, gaining airplay on FM radio stations. The following year, he had his first number one single with "Marie Laveau." Bare released another record of Silverstein songs, Bobby Bare and the Family Singin' in the Kitchen, in 1975. Unfortunately, the singer's oldest daughter died shortly after recording the album; she was only 15. In 1977, Bare received a major publicity push from Bill Graham, the legendary rock concert promoter. Graham signed the singer to his management company, proclaiming that Bare was the "Springsteen of country music." Soon, the singer found new audiences at college campuses and in Canada. He switched record labels the same year, recording the self-produced Bare for Columbia. Two years later, he released Sleeper Whenever I Fall, which featured contributions from Rodney Crowell and rearranged rock & roll songs like the the Rolling Stones' "The Last Time" and the Byrds' "Feel a Whole Lot Better." Bare resumed his collaboration with Silverstein in 1980, releasing the live collection Down and Dirty, which spawned two humorous hits, "Numbers" and "Tequila Sheila." The following year, he released As Is, which showed that he was continuing to record a diverse selection of songwriters, including Townes Van Zandt, J.J. Cale, and Guy Clark. Despite the fact that his work was consistently critically acclaimed, Bare's record sales began to slip in the early '80s, as the 1982 Silverstein collaboration Drinkin' from the Bottle, Singin' from the Heart and his 1985 record for EMI failed to launch any major hit singles. Nevertheless, Bobby Bare continued to retain a devoted following in the U.S. and the U.K., and his influence on contemporary country music remains evident.